Thanks to Peter Rask Møller and Jørgen G. Nielsen, SNM. 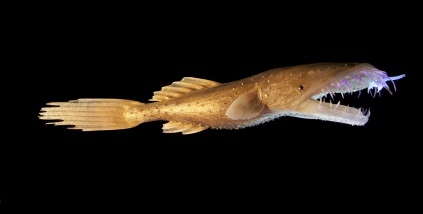 When discovered on the first Galathea Expedition in 1950, this fish has been said to ‘’altogether be one of the oddest creatures in the teeming variety of the fish world’’. 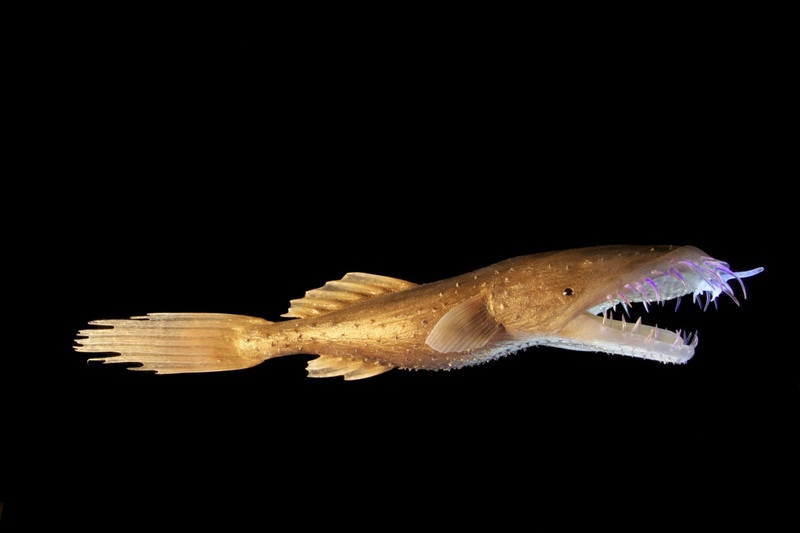 This peculiar looking fish is a species of deepsea wolftrap angler known from the western central Atlantic Ocean, where it occurs at a depth of 2532 metres. It is an ambush predator, living near the ocean floor. 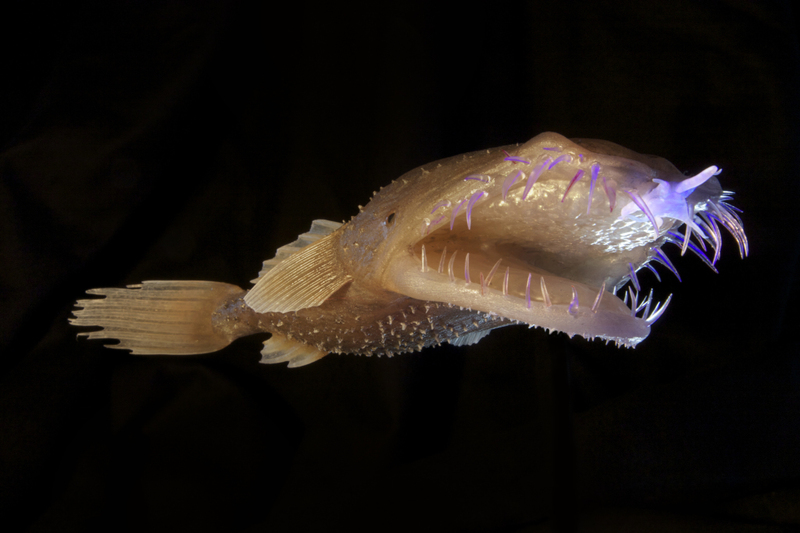 Contrary to deepsea anglerfish, that have the distinctive forked light organ placed on their forehead, the light organ of Thaumatichthys binghami is located inside their mouth, leading pray in the right direction. The light organ is known as the ‘esca’, and in this species it bears 2–3 pairs of lateral lobes that are elongated into tapering filaments in the largest individuals.